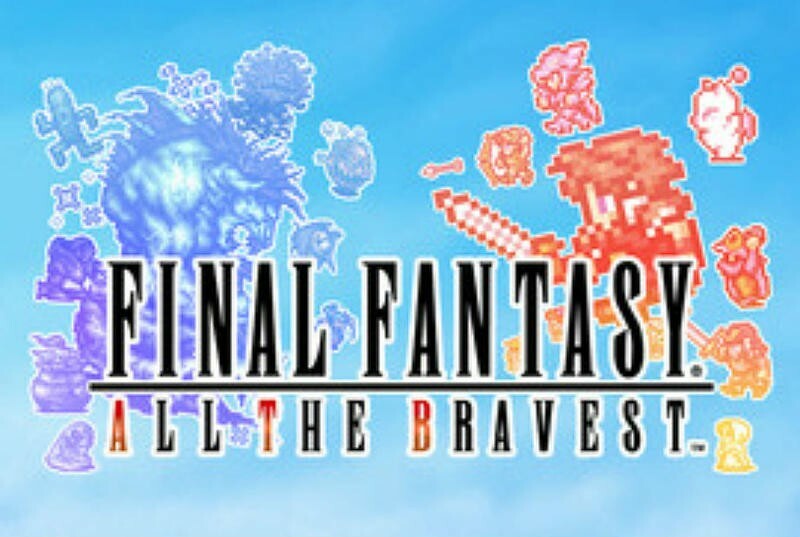 Turns out the teaser image released yesterday from Square Enix was not a hint at a Final Fantasy VI port, but rather it was an entirely new game entitled Final Fantasy: All The Bravest. 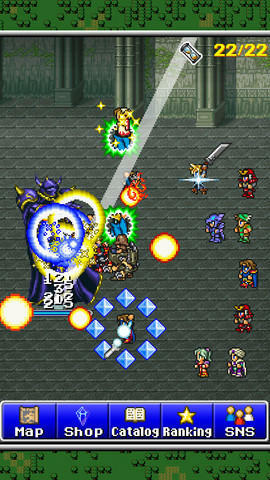 ATB is an acronym often tied to the Final Fantasy series because of it’s “Active Time Battle,” and that’s what this new game focuses entirely on: straight up fighting in the series’ classic formula. Backing them up are what appears to be nameless job units designated to support the main characters. 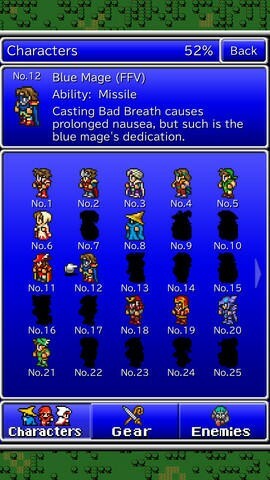 These vanilla characters spawn from 20 of the job classes made famous in Final Fantasy like black mage, monk, thief, knight and samurai. 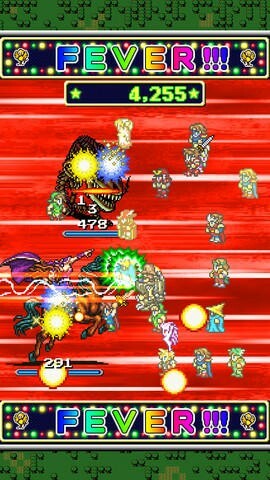 These characters will be sent into a streamlined version of the Final Fantasy battle system, battling waves of classic enemies and bosses at a break-neck pace. This game is putting an original arcade spin on the series’ approach to combat. From the looks of it, it’s hectic and insane like Final Fantasy XIII, which might as well have been an arcade game. Quite frankly, this sounds amazing to me. 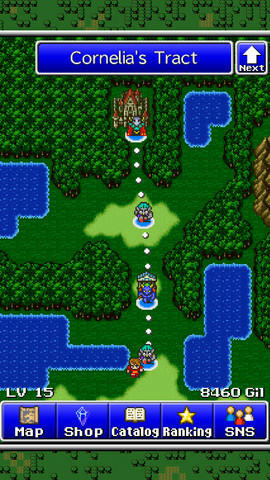 I can play Final Fantasy VI on my Nintendo DS still, so I would much rather have an original idea like this. Final Fantasy has always worked as an RPG, but the arcade spin makes it look more like a Pac-Man 25th Anniversary Edition or any of the other wonderful games you pick up and play in quick bursts. Now it seems like all I’ll wait for is the pricing. 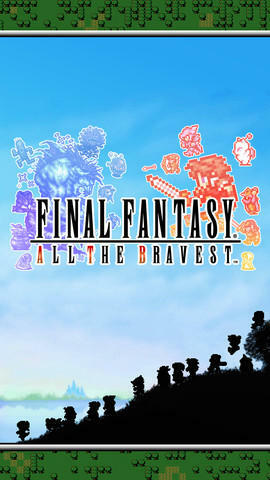 Square Enix does not have the best reputation for fairly priced iOS products, but then again, Final Fantasy: All The Bravest has me much more intrigued than their other attempts at original content. The base product runs at $3.99 in American dollars with $.99 for additional premium characters. We’ll see how it works out to with all the purchases needed down the road. Expect the release to come later today.